Mimi has her own Santa hat. 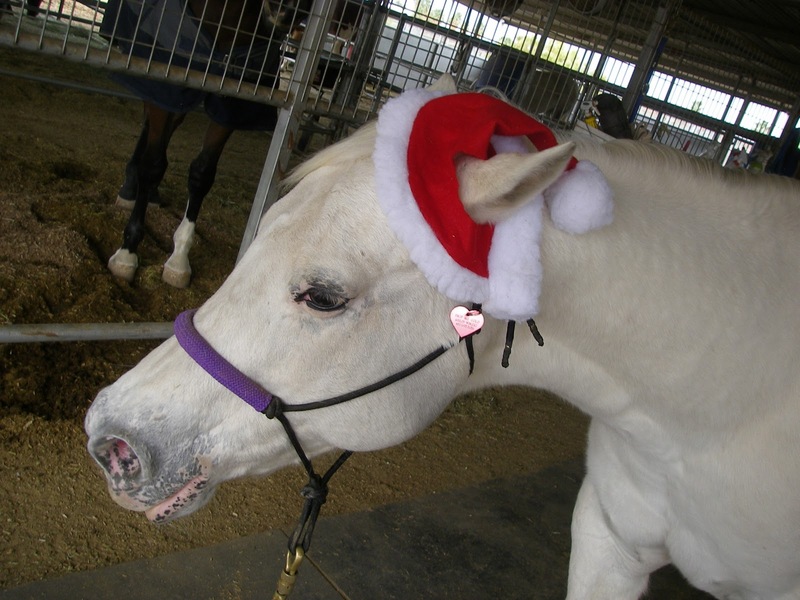 On the years I 1) remember and 2) don’t misplace it, I pull out the hat and take embarrassing pictures of the pony. It’s the sort of activity that reminds her of a pony’s station in life: to be a little girl’s dress-up toy. She finds it less than amusing. 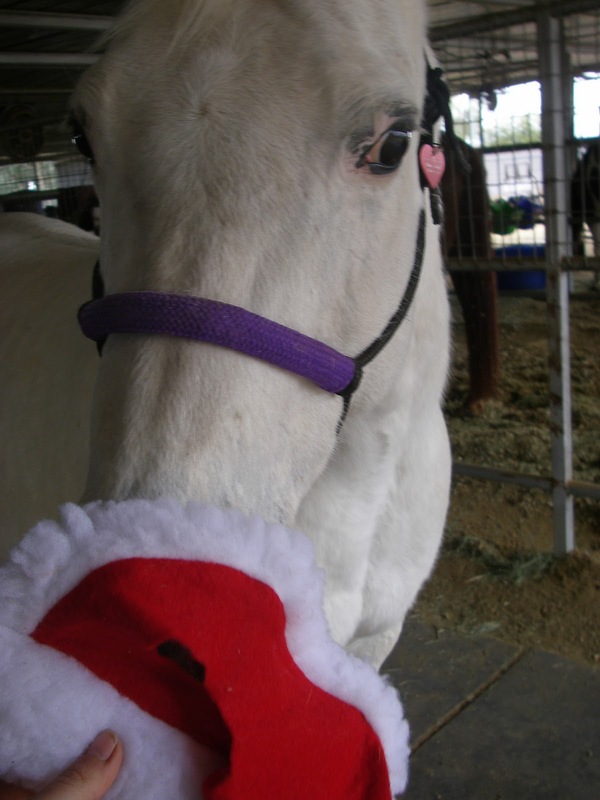 This year, I not only was able to find the hat, I remembered to take it down to the barn before Christmas. Here’s a few of today’s antics and outtakes. I’m saving the “nice” one for Christmas. It rained today. 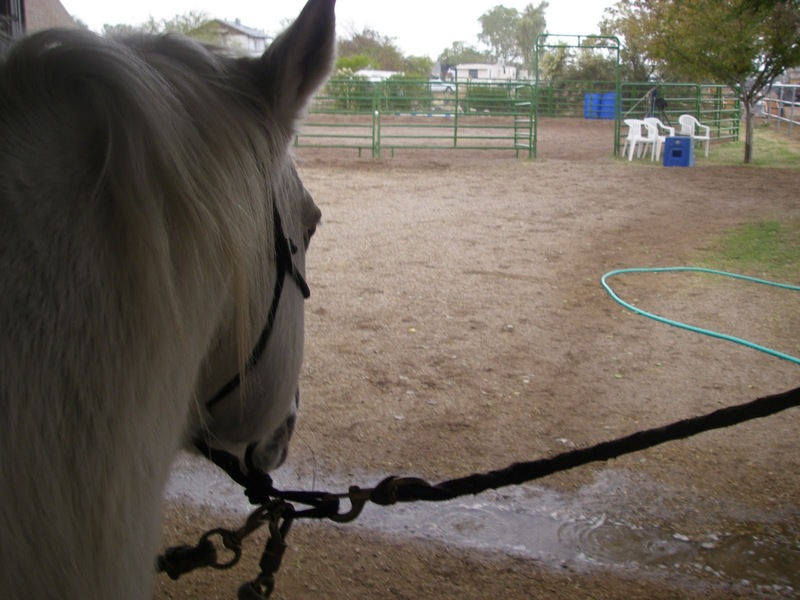 Funny, it rained last time I was down at the barn. 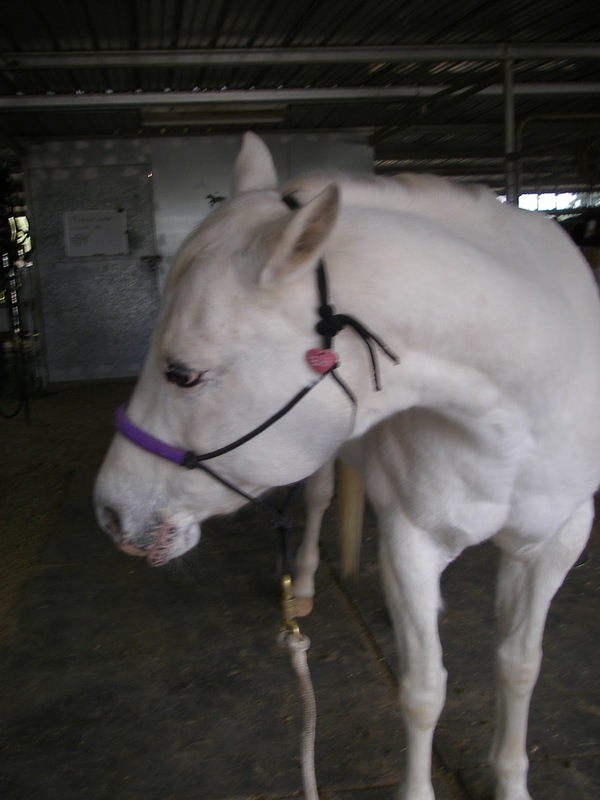 For a sweet pony, she can pull the bitchiest mare faces. 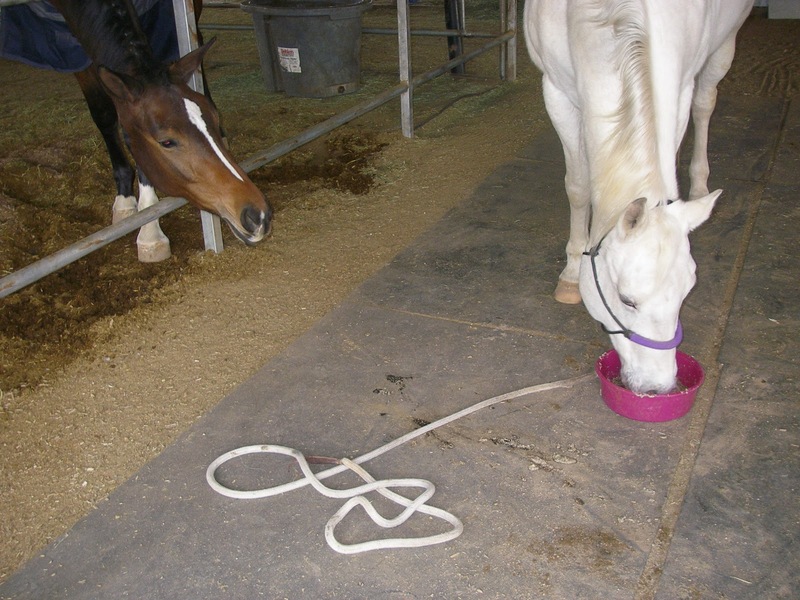 Reward for tolerating five minutes of indigation: a warm beet pulp mash.